Talk about a game changer! 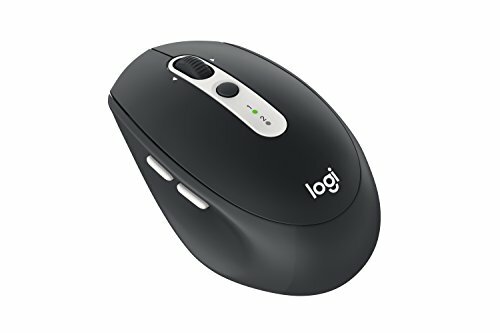 With Logitech FLOW, M585 Multi-Device has the almost magical capacity to navigate seamlessly on two computers and copy-paste from one to the other – even if you're using a PC and a Mac. * It certainly beats sending yourself emails. M585 also comes with a host of other features to improve your productivity, your way: fast and easy scrolling through long web pages; five programmable buttons, including two handy thumb buttons; a 2-year battery life** and a curved, domed shape that supports your palm comfortably during long hours of work or play. Dual connectivity (Bluetooth or 2.4 GHz Logitech Unifying).